Location: We will initially meet at Maison Kayser (1400 Broadway at 38th Street, New York, NY 10018; detailed info about the cafe can be found here. After that, we will visit some planner/stationary stores in the area.This is an informal meet up for all planner lovers to get together to exchange planning/organizing ideas and enjoy seeing one anther’s planners. There is no formal speaker or agenda. The meetup is for users of all planners – rings, strings, discs, bound books and more! Feel free to bring what you would like to share – both functional and pretty planning related supplies! 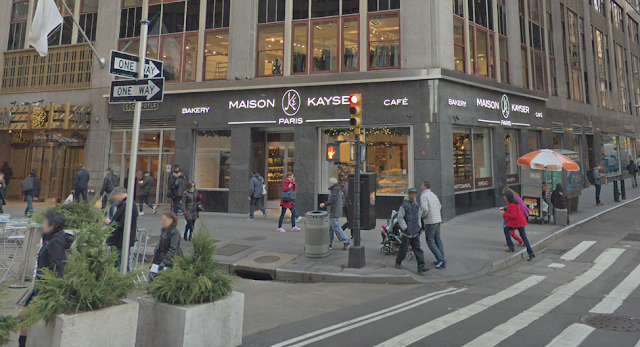 There is no fee to the meetup except for your food/beverages at Maison Kayser (menu can be found here). We will visit Kinokuniya Bookstore (a Japanese bookstore with a lot of planners, pens, stationary and washi tapes), and Muji 5th Ave Store together. Both stores are only a few blocks away from Maison Kayser. Also, New York Public Library (also in the same area) has a little gift shop that has really nice stationary. Bryant Park Winter Village is a great place for holiday shopping after the meetup! Send in your RSVP for fun, friendship, and planners by 11:59 p.m. Eastern time on December 2. Questions? Email Sophia Pan (sophiacypan@gmail.com). Use this form to indicate that you will be attending the event. Have a great meet up.